Jeth Seagrave and his crew of mercenaries are pulled into one last high-stakes mission in this breathtaking sequel to Mindee Arnett’s fascinating and fast-paced sci-fi thriller Avalon. Jeth Seagrave and his crew are on the run. The ITA, still holding Jeth’s mother in a remote research lab, is now intent on acquiring the metatech secrets Jeth’s sister Cora carries inside her DNA, and Jeth is desperate to find the resources he needs to rescue his mother and start a new life outside the Confederation. But the ITA is just as desperate, and Jeth soon finds himself pursued by a mysterious figure hell-bent on capturing him and his crew—dead or alive. With nowhere to run and only one play left, Jeth enters into a bargain with the last person he ever thought he’d see again: Daxton Price, the galaxy’s newest and most fearsome crime lord. Dax promises to help Jeth, but his help will only come at a price—a price that could mean sacrificing everything Jeth has fought for until now. 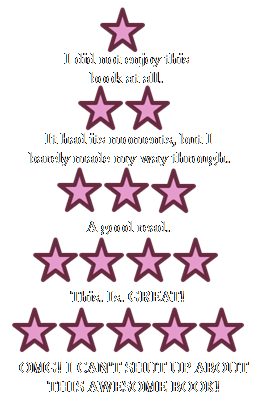 The conclusion to the story Mindee Arnett began in her acclaimed novel Avalon, Polaris is a dangerous journey into the spaces between power and corruption, life and death, the parts of ourselves we leave behind, and the parts we struggle to hold on to. It’s over. I finished this duology in less than a month and now I can never have the same experience reading a book in this particular sci-fi world ever again. Such a depressing thought. Back to the fast-paced and surprising plot. I love how in both Avalon and Polaris, you are immediately thrown into the action. There’s no time for tea in these books; these characters are constantly on the go. And they also go places and do things that I never expect. There was only one time that I could kind of predict what was going to happen, and that was at the very end, and I’d only predicted it about twenty or so pages beforehand. I generally always have a sense of how the book’s going to play out, but thankfully, I found something that was able to surprise me. Since I wrote my review for Avalon, less than a three weeks ago, the characters didn’t change much in my opinion. Jeth is still fantastic, except for the part where I’m not sure what it is exactly he does—besides make decisions and boss people around (I don’t wonder this about his character in general, but just what he contributes to the ship. I guess he’s kind of like Captain Kirk, who doesn’t have a lot of tech savvy or random space knowledge, he just gives commands.) The other characters improved from the first book, but not by a lot. I enjoyed them more in this one, especially Jeth’s sisters and Sierra. However, Shady, Celeste, and some of the other crew members were kind of just tossed to the side, so I couldn’t really find any character growth, or even just get to know them a little more. The plot of the book was fantastic for the first 85%! I enjoyed it so very much! (I don’t know how many more times I’m going to use the word “enjoy” in this review, but it’ll probably be a few more.) 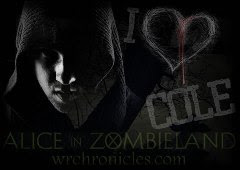 Dax and his newly villainous ways made the first half of the book very interesting. And the introduction of a certain character surprised me, despite knowing that she was going to have to show up in the book eventually. What I didn’t like so much was how towards the end, things just kind of fell into place. Granted, it wasn’t easy for the characters to accomplish their goal, but I just thought it didn’t take nearly as long as I expected it to, especially considering how the first half of the book is basically just the crew getting everything set up and ready to go. Don’t get me wrong, I enjoyed this part and how long it was—even though it seemed to go by so very quickly because of the fast-pacing—I just think the ending could have been spread out a little more. So, if you’re looking for a sci-fi read, start with Avalon. 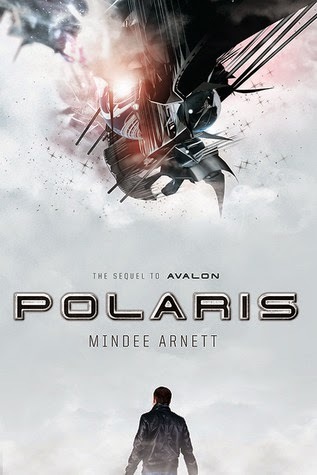 Then, if you have a major book-hangover because of Avalon’s ending like I did, pick up Polaris. And for that hangover, I don’t know what to tell you, because it’s over now… Maybe try to watch some Star Trek. *Note: I borrowed this book from my library. Glad you think you might enjoy it!